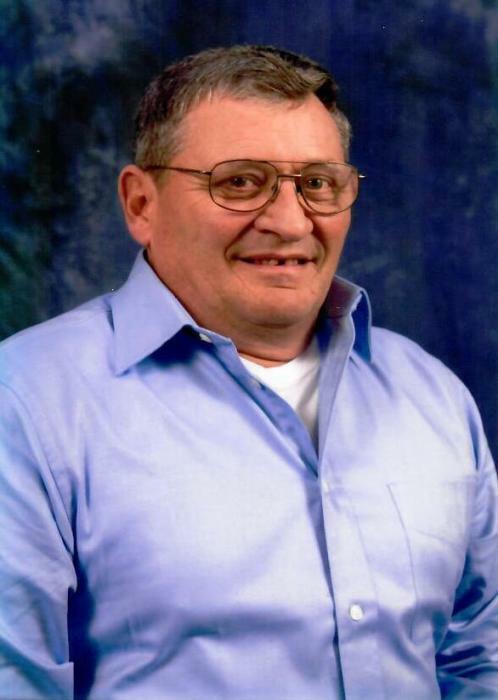 Obituary for Robert V. "Zeke" Hoppel | Iseneker Funeral Home, Inc.
CASTORLAND – Robert V. “Zeke” Hoppel, 69, passed away Tuesday evening, November 27, 2018 at his home. A Funeral Mass will be said at 12:00 p.m. on Saturday, December 1, 2018 at St. Stephen’s Catholic Church, Croghan, with Rev. Donald Manfred, officiating. Spring burial will be in St. Stephen’s Cemetery. Calling hours will be held from 2:00 - 6:00 p.m. on Friday, November 30, 2018 at Iseneker Funeral Home, Inc., 5702 Waters Road, Lowville. Contributions may be made to the Beaver Falls Ambulance 9583 Main St, Beaver Falls, NY 13305 or Lewis County Fund for Hope 7785 North State Street, Lowville, NY 13367. He is survived by his loving wife, Shirley; three daughters and sons-in-law, Lori and Brian Reape of Castorland, Sheri and Jason Cossey of Saratoga, Tracy and Gary Goldthrite Jr. of Castorland; four grandchildren, Rebecca, Caleb, Nathan, and Sarah; five step-grandchildren, Jemray, Joshua, Cole, Dylan, and Brandon; his siblings and their spouses, Carl and Doris Hoppel of Castorland, Doris and Dennis Kloster of Castorland, James “Jumbo” and Karen Hoch of Carthage, Lynda and Eldon Spinks of Croghan, William “Joe” and Karen Hoch of Castorland, Lucy and Rod Mattis of Castorland, Ralph “Goober” and Beth Hoch of Croghan, Mary and Peter Meyer of Lowville; a sister-in-law and brother-in-law, Helen and Bill Raymond;a brother-in-law and his companion, Joe Kerfien and Mary Lyng of Lowville; four aunts, Alice Bush, MaryLou Cullen, Ruth Aucter, and Doris Mack; several nieces, nephews and cousins. He is predeceased by a daughter, Diane Marie Hoppel, who died at birth; and his step-father, William Hoch. Zeke was born on April 28, 1949 in Lowville, a son of the late Vernon and Edna Aucter Hoppel. He graduated from Father Leo Memorial School in 1966 and Canton ATC in 1968. While at Canton ATC, he was a member of the Alpha Theta Gamma Fraternity and he also attended Cornell University. On August 9, 1969, he married Shirley A. Kerfien at St. Stephen’s Catholic Church with Rev. Anthony Moore officiating. He worked for Crowley Foods in LaFargeville from June 1969 to November 1969. He owned and operated a Dairy Farm on the Swiss Road with his brother Carl for many years. In May of 1979 together with his wife, he purchased the Gerald Hoppel Farm. He was on the board of directors and a secretary for the Deer River Milk Co-Op from 2004 until its closing. He worked for John Farney Construction and MJL Crushing of Lowville until his death. He was a communicant of St. Stephen’s Catholic Church and he served on the Beaver River Central School Board from 1988 to 1998. Zeke enjoyed playing cards and spending time with his grandchildren, family and friends. He loved playing the guitar and the mandolin. Condolences may be made online at www.isenekerfuneralhome.com .